We buy houses in Dacula, Ga and we got a phone call one day about a seller who really wanted to sell her home fast in the area. She had seen our website online from a search on google. After calling her back she expressed that she had bought the home for a great deal back in the foreclosure boom when the market collapsed after 2008. She had repaired a few things in the house but hasn’t had a chance to do all the repairs necessary to sell it with an Agent on the retail market. She had done that before with another home and just didn’t want to have to wait and deal with seller concessions, repairs, and home inspections. So, we scheduled an appointment to go out and take a look. There were lots of items, things, and clutter in the home which we are accustomed to and regularly deal with and have to clean out. Which is no problem, because we have the crews, dumpsters and labor to get it done quickly and with less hassle than to the homeowner to have to do it. The home needed new carpet, interior painting, plumbing repairs and a few other miscellaneous items taken care of. With the homeowner not being experienced with all the new trends in home remodeling, she opted to not do these things and further she didn’t have the financial resources to do them. After discussing a few things with the seller, we came up with an offer to purchase that was much higher than another investor had offered her. While most investors will only make an all cash offer (we do that too), we made an offer to purchase on terms and monthly payments to the seller. This way, we could pay a higher percentage to the seller since we wouldn’t have all of the closing costs that take place with traditional cash sales. And we could put a lease purchase buyer in the home afterwards and sell it that way instead of putting it up for sale and incurring all of the closing costs, commissions, and repair concessions that a normal transaction would include. We went to closing, and finalized everything with the seller. She was happy with a nice lump sum at closing that helped with her moving expenses and getting on her feet at a new place. Afterwards we repaired the items that were needed, and found a buyer to move in quickly after. This buyer was very close to getting financed, which is what we look for when entering into an agreement with a potential buyer for our newly acquired properties. And, after 2 months, the buyer was able to get financing to buy the place outright and cash all of us out with the new purchase. The former seller got the rest of her equity payout quickly, and we got our small profit out of the deal as well because of this. 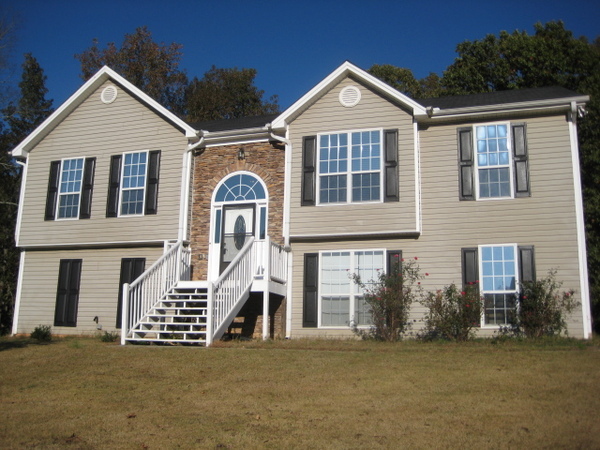 And the buyer now owns a nice home in the Dacula, Ga area because of our Rent to own homebuyer program. If you have a house to sale and you are in the Dacula Ga area, call us today at 678-278-9595 for a fair and easy transaction. You don’t have to wait to sell your house fast in Dacula, you can sell today and we can pay you a very good price for it! For more information, visit our home page for our contact info or give us a call today.